If you know someone who has experienced a miscarriage, you know how difficult it can be to respond in a way that feels genuine and loving. This little guide offers practical and spiritual guidance to help you help your friend or family member who has experienced this tragic loss. This free download was adapted from Grieving Together: A Couple's Guide through Miscarriage. The authors describe it as the book they had wished for after their loss. Practical resources in the book include Scripture, prayers, and official Catholic rites. It also speaks to the unique concerns of fathers and includes many real-life stories from couples in various circumstances. 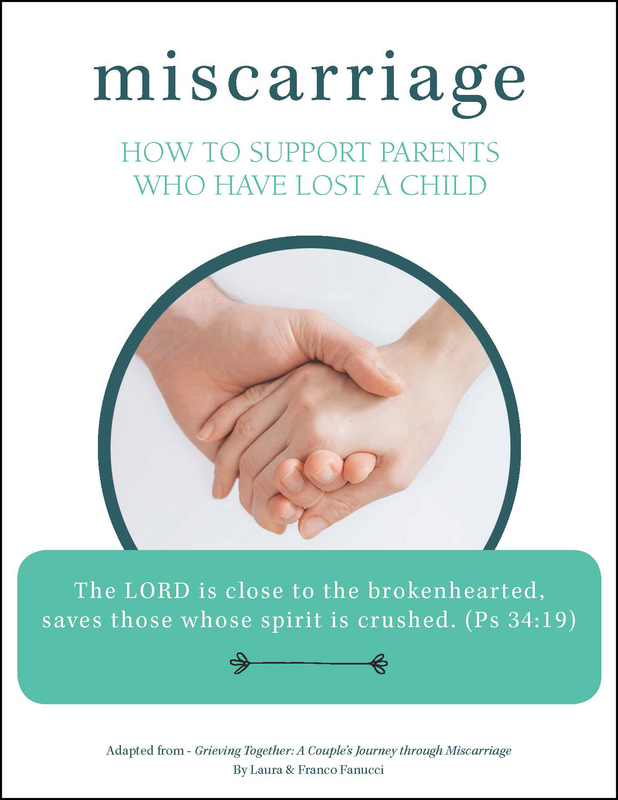 Download Miscarriage: How to Support Parents Who Have Lost a Child for FREE by signing up to receive emails that feature our new releases, faith topics, free downloads, and so much more!